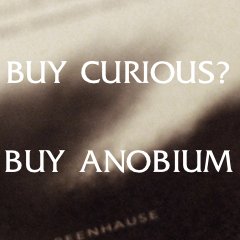 Anobium wants your financial support. More money, more opportunities. E-mail us at editor@anobiumlit.com to learn more about the naming opportunities and other rewards associated with giving to Anobium. Or, if you like, simply make a gift below. We’re always happy to work with you and make new friends.